Minuteman Resources Pte. Ltd. is a Singapore-incorporated limited exempt private company which provides business consulting, training and research services to our customers. Our corporate mission is to provide our customers with business consulting, training and research services which will add value to their enterprises by way of developing and deploying best-of-breed business practices. We seek to be the partner of choice of our customers to assist them continually improve themselves by offering them our knowledge, advice and services. We are capable of providing services in broad-based business research and analysis in order to provide sound advice to our clients which leads to improved organizational performance. We also continue to develop our capabilities on other areas such as Business Intelligence and Market Research, Brand Development, Business Modelling, Business Innovation and Design-Thinking, Corporate Governance Best Practices and Corporate Social Responsibility. At Minuteman Resources, we believe in collaborating with other consultants and solution providers in our engagements with our own clients in order to provide the best solutions that will help solve our clients' business problems. By partnering with other consultants and solution providers, we believe that the results that would be achieved by the whole solution through the synergies created would be greater than the sum of the individual parts that we can individually bring to the client. As such, we are constantly seeking suitable partners who are able to complement what we do. With over twenty years of experience in providing business consultation, advice and training in his previous employment at a consultancy firm, our expert Principal Consultant/ Director, Mr Poh S. Lim has extensive knowledge and experience in providing consultancy and training to a wide range of industries which include the following: government agencies, information technology, telecommunications, aviation, maritime, property developers, civil engineering, building & construction, education, distribution & retail, supply-chain & logistics, oil & gas, public utilities, architectural services, legal services, hospitality, food & beverage, and medical equipment, among many others, both in the public and private sectors and non-profit organizations. These organizations ranged in size from Small and Medium Enterprises to global Multinationals Corporations. 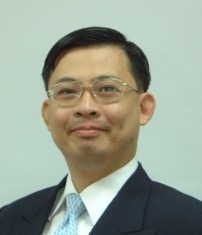 Mr Poh S. Lim is a current Practising Management Consultant (PMC) registered with the Singapore Business Advisors & Consultants Council (SBACC) and has been certified since 2008. He is also a certified trainer with an Advanced Certificate in Training & Assessment (ACTA). His other professional memberships include Associate Member of the Singapore Human Resource Institute (SHRI), Associate Member of the Singapore Institute of Directors (SID), Member of the Singapore Training And Development Association (STADA) and Member of the Marketing Institute of Singapore (MIS). As a certified Practising Management Consultant, he complies with the "PMC Code of Professional Conduct" from the SBACC. Clients can rest assured that they can place their trust in him when they engage him. A copy of the "PMC Code of Professional Conduct" can be downloaded from the link provided.